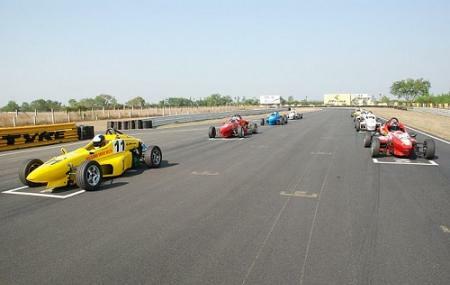 Kari Motor Speedway is a racing track situated in the outskirts of Coimbatore, Tamil Nadu. It is a purpose-built track popularly used for Go-Kart racing, motorcycle racing and formula racing events. It is a popular racing venue in the country. Visitors can take part in Go-karting or racing of two-wheelers and cars when visiting this place. If the thought of racing and speeding down the race tracks gives you thrills, head over to this place for an exciting time! Find the joy in planning a D.I.Y. 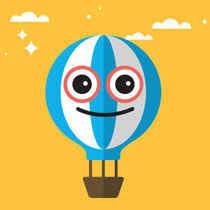 trip by using this awesome Chettipalayam trip planner. Book perfect hotels in Chettipalayam like Fabhotel Royal Castle Gandhipuram, Kiscol Grands Hotel, Hotel Chenthur Park and Hotel Prince Gardens. Choose from variety of exclusive Chettipalayam vacation packages for your next visit or create own own. Check out the various options for how to reach Chettipalayam and finish off your vacation package by booking the ideal transfer. Love this? Explore the entire list of places to visit in Chettipalayam before you plan your trip. Fancy a good night's sleep after a tiring day? Check out where to stay in Chettipalayam and book an accommodation of your choice. Amazing race track for beginners, learners and for the ones who never seen track in life before, you could do your level 1 and level 2 here! Place is maintained really good and recommended! Went there for LuxeDrive and got a chance to race on the track. Well maintained tracks and great location to satisfy your racing desires. It is a bit far from the city and take anywhere between 30 minutes to an hour no matter which part of the city you are in. Awesome track.The best track I have ever visited.I had been their for four days for a go kart event.I had great experience.This is the international race track.The track is totally awesome.But it is about 15km far from Coimbatore city.But I have no bad comments about the track because it was totally awesome.It is 2.1km track with 800m straight stretch.The quality and maintenance of the track is totally awesome.Good facilities are provided for the track. One of the few race tracks in India. The track itself is small and with basic facilities. Don't expect the garages to something from BIC or Madras tracks. You can watch most of the events from outside as most of the track can be seen from the road The restrooms are dirty and lacks of any basic amenities. Food sold by locals are far too overpriced. I would suggest everyone to bring their own food and water. i like to know about the charges foe a go kart event for 3 days that to be organised. To know about Kari Motor Speedway event charges, it is best that you get in touch with them on Kari Motor Speedway Contact Number 1-9677716086.